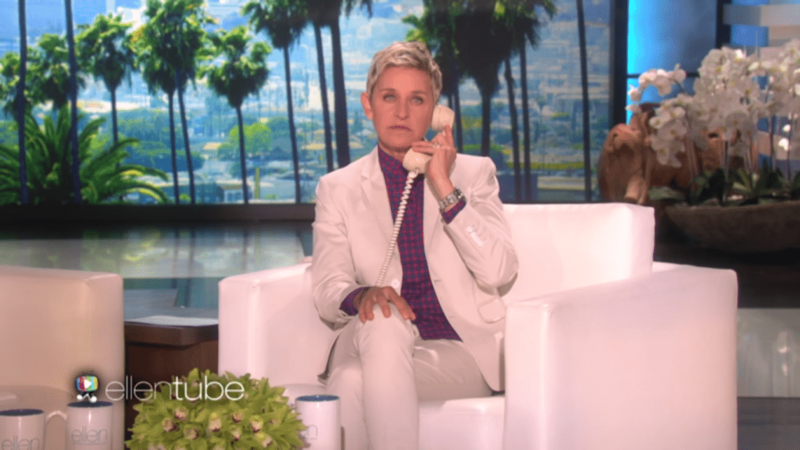 As Ellen Degeneres sat in her chair live on the set of The Ellen Show, she was suddenly interrupted by a phone mysteriously placed right behind her seat. 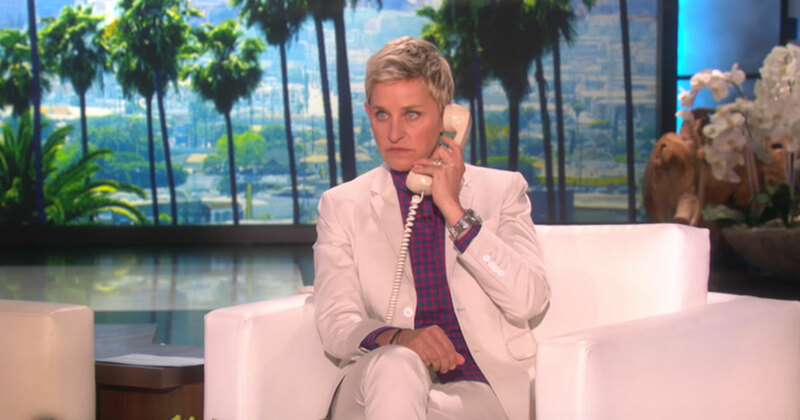 Answering the phone on live television, Ellen was greeted by her receptionist, who informed her that somebody who wrote to her was actually in the audience that very day. The receptionist then went on to read the note over the phone, which discussed how much the writer, Kim Jeger, loved Ellen’s show, and how much it has helped her fight through her cancer. “I am a 30 year old breast cancer survivor. This week, I found a new lump and just learned I need to get an MRI to figure things out. I am a strong person, but right now, I am scared,” Kim Jeger wrote in the note. As this was being read over the phone, the camera suddenly turned to Kim sitting in the audience, crying in shock of what was happening. Kim went on to mention she was diagnosed with the cancer at a time when her mother, Becky, was already fighting through stage 4 cancer. “Your show keeps me going. I eagerly await four o’clock when I know you will bring me smiles and happiness. Thank you for being there for me” said Kim Jeger in her letter to Ellen. 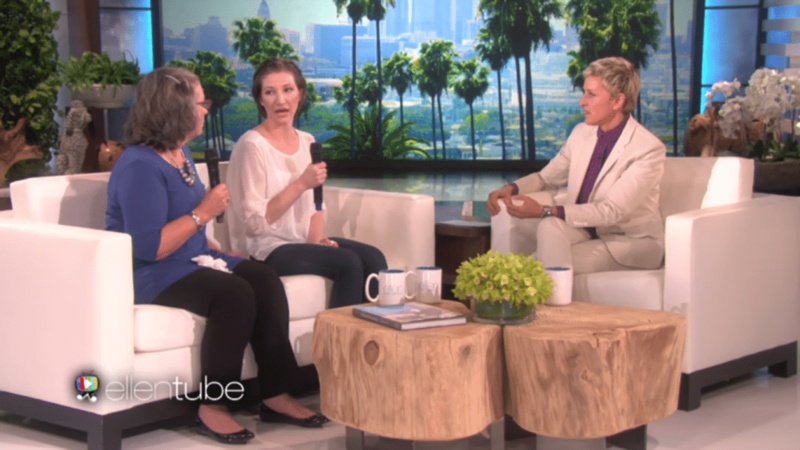 Ellen brought Kim and Becky down to the stage, where she asked her how things were going. Kim went on to detail how she had chemotherapy at the same time as her mother, and going through that fight together made the situation more manageable for her. 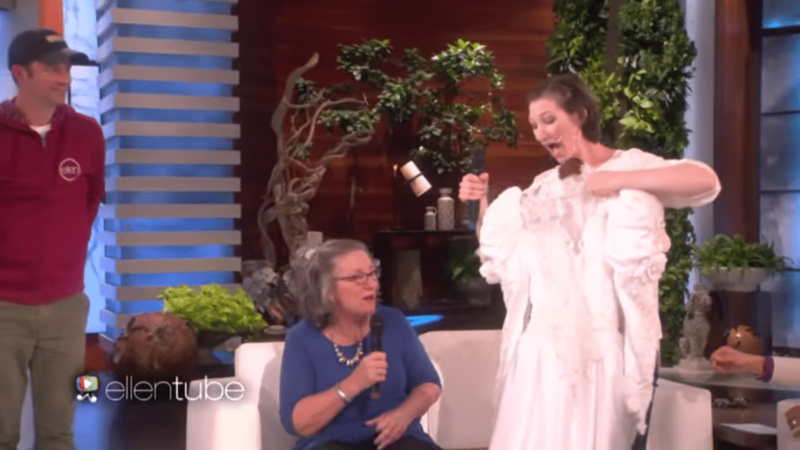 Starting with an old wedding dress, Ellen goes down the list and gives Kim some amazing wedding presents. 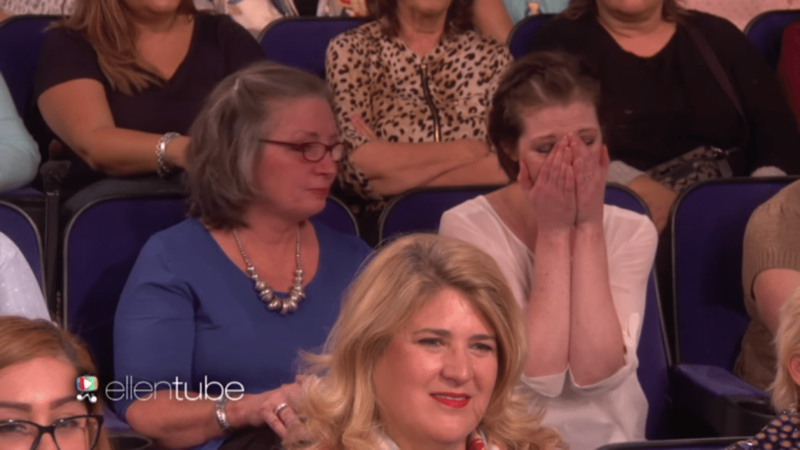 Watch the video below to see how incredible Ellen’s other gifts to Kim are!